Hey ya'll and happy What's Hap-"Pinning" Wednesday! Today I'm sharing some of my favorite things lately that are Spring-y! The weather is FINALLY warming up (except hello...let's have SPRING not summer right away..geez VA) Wedding and event season is upon us as well so I love browsing new dresses and sites like Rent the Runway. So far we have two weddings this summer and also two this winter. Speaking of weddings, my bestie from college and also my bridesmaid just got engaged over the weekend and we are pumped! She is a former Miss Virginia and we'll be attending Miss VA come June together so let the wedding planning begin! She's thinking New Years Eve! How fun and glamorous will that be? Anyway, check out these cute favs and join in below to share what's hap-pinning in your life! I am with you on having spring, not summer yet! Earlier this week it was a little bit too warm for my taste. 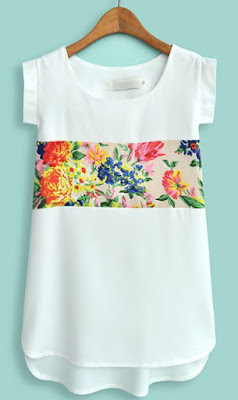 Love that first top - such pretty detailing! Ahhhhh those pineapple sandals!!!! So cute! I love all of these looks! Congrats to your friend! She's adorable!!! Love all that spring/summer attire! We had some warm weather and now it's back to being chilly. Boo! Hope your having a good week! Love all of those precious outfits, especially the sandals! Texas needs to GET. IT. TOGETHER with our weather -- we're practically building arks down here with all this rain and flooding! Yes! It went from a glimpse of spring, back to winter, and now suddenly summer weather here! Crazy. 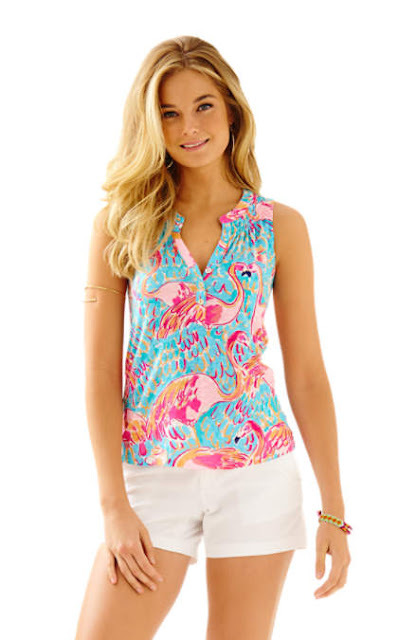 I love those Lilly shorts! So cute! OMG! Those sandals, adorable!! Loving the bracelets too! Congrats to your friend, a NYE wedding sounds fabulous! Girl you are on point with the pineapple accessories these last few weeks! Those are darling!! Love all the fun spring and summer looks! 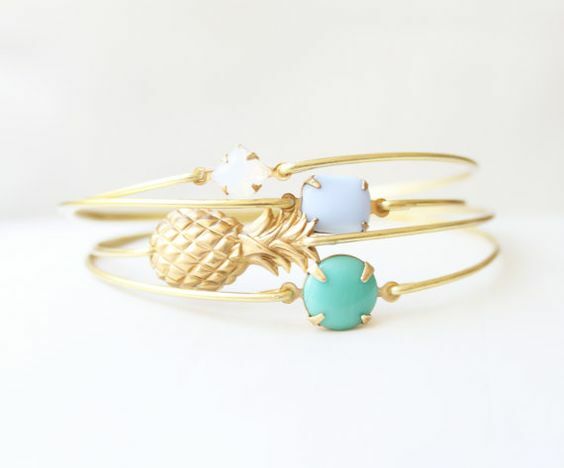 Those pineapple bracelets are so cute! Congratulations to your friend! And loving all of these picks! 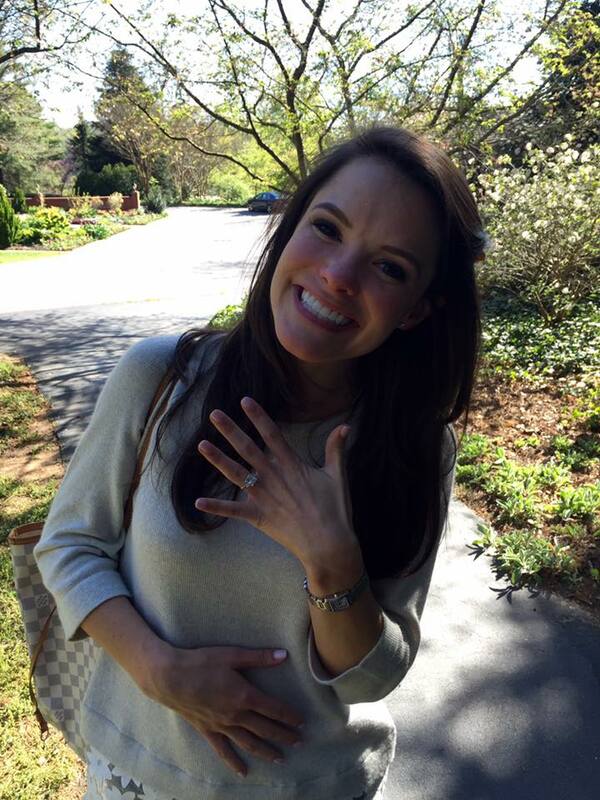 aw congrats to your bestie, that is awesome! and i'm with you, i love browsing rent the runway this time of year. we've got derby and the like coming up soon, so lots of excuses to wear dresses! Love these spring outfits - so cute!! Congrats to your friend!! That's so exciting and a NYE wedding would be so glamorous!